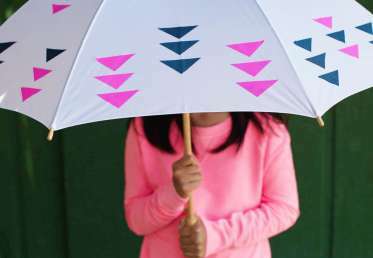 Turn your kid’s drawings and designs into a snazzy umbrella with this project, which is sort of like creating custom stickers from nylon. 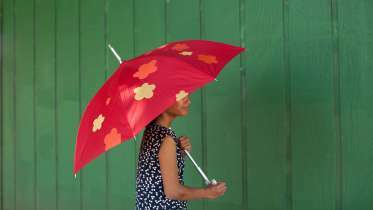 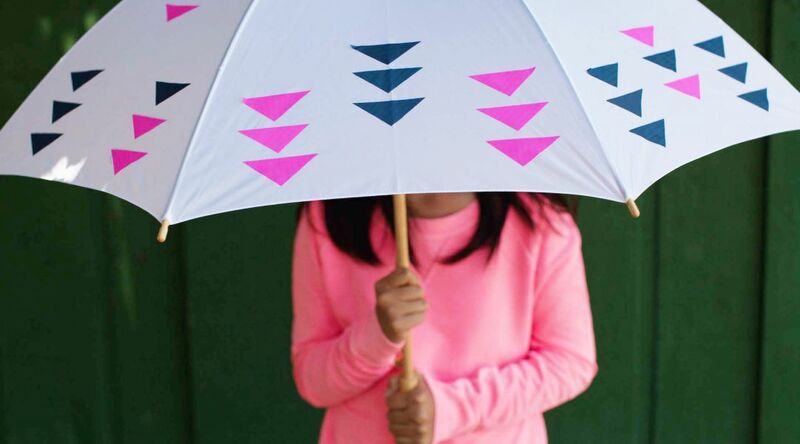 Nicole and her son show how to use a few simple materials to fancy up an umbrella and brighten any dreary day. 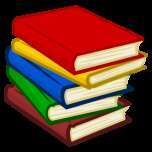 This works for kids of all ages.